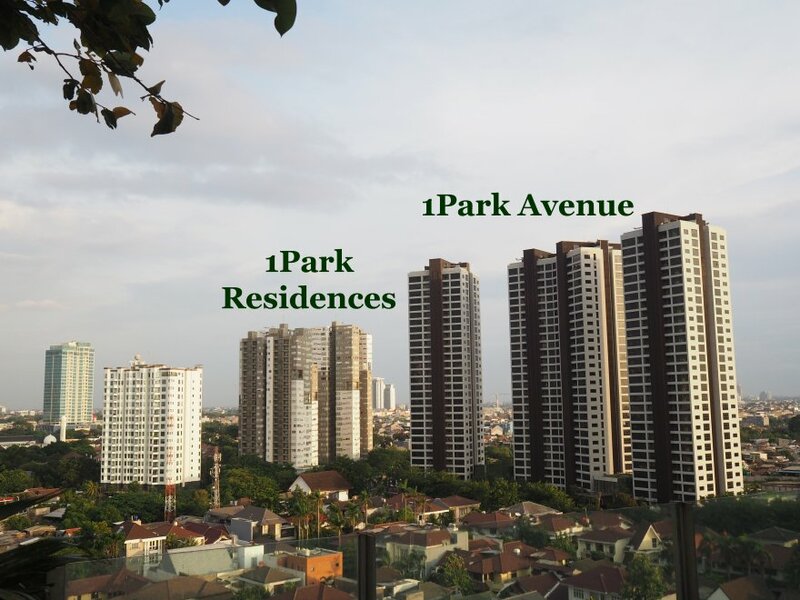 1Park Residences is an upscale residential complex of 3 towers (22, 18 and 16 floors) for a total of 379 units. 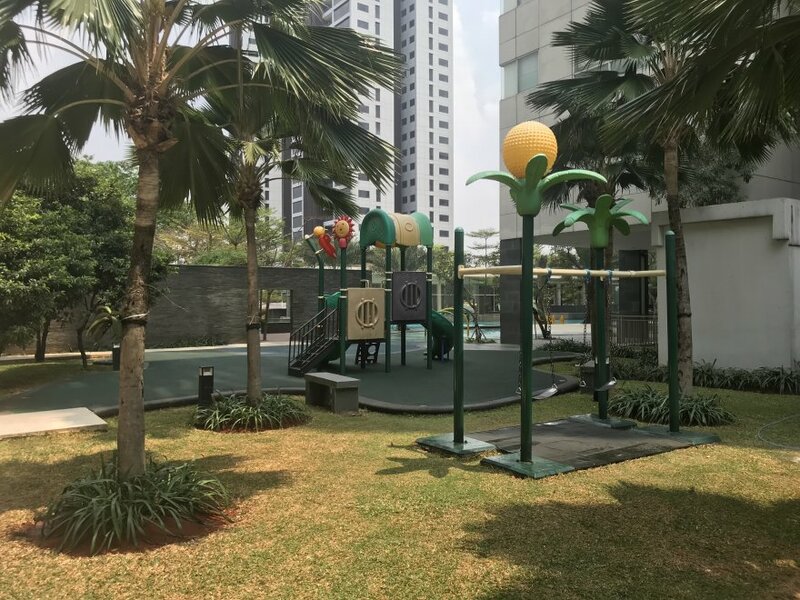 Completed in 2012 on 1.2 hectares of land, it was developed by the group Intiland, which is also the owner of the more luxurious 1Park Avenue. I stayed for a couple of day in the property, and this is my full review of it. 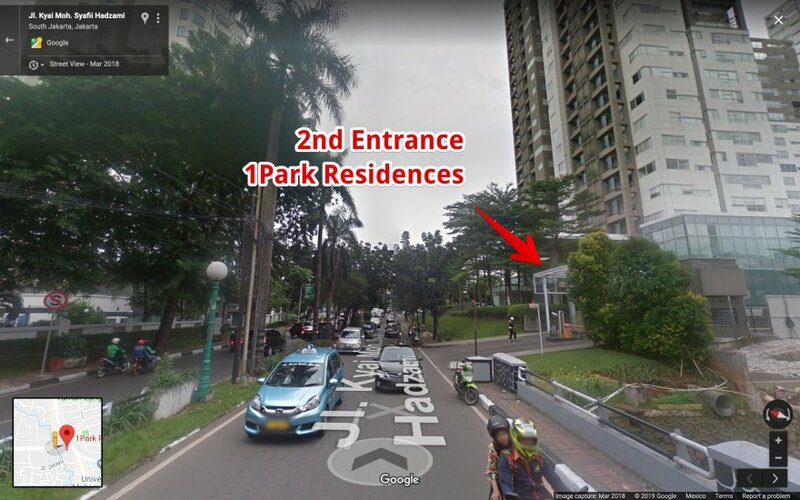 In which neighborhood of Jakarta is 1Park Residences located? 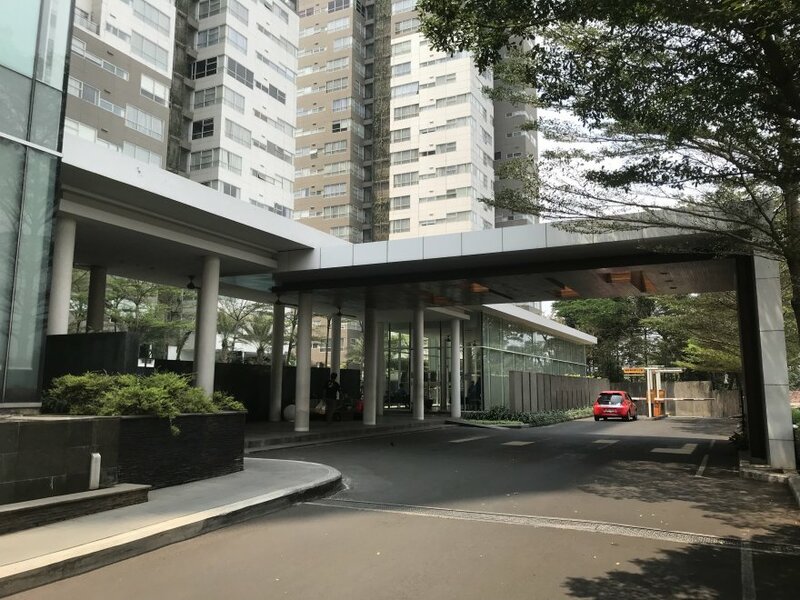 1Park Residences is in Kebayoran Lama, a diverse neighborhood with a mix of low to upper-class housing. 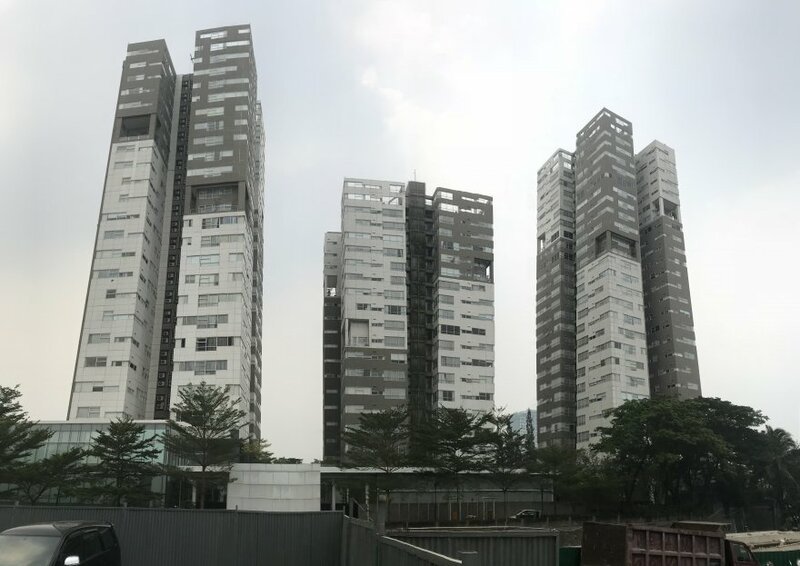 It used to be mostly made of low-rise buildings, but several recent projects have modified the skyline (including 1Park Residences, 1Park Avenue, Gandaria City). 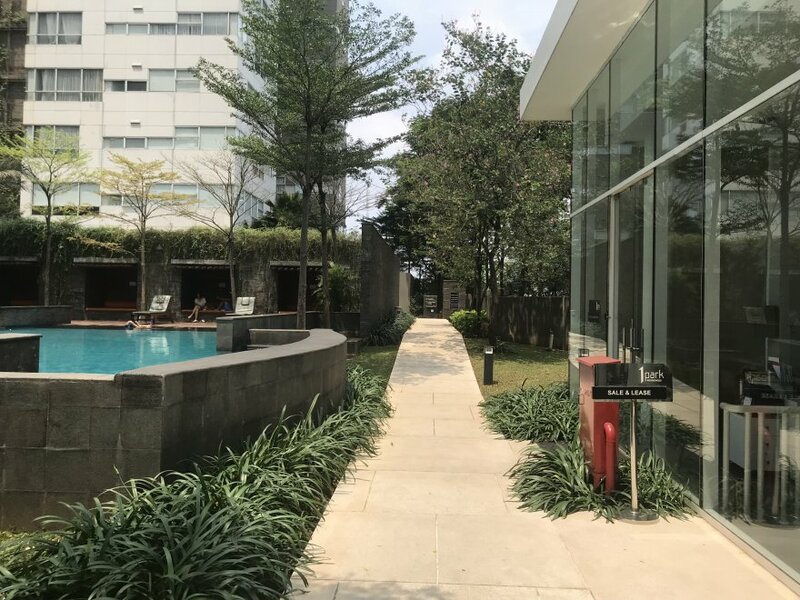 Nowadays, it is considered an exclusive address, particularly if you stay along Jalan Sultan Iskandar Muda. 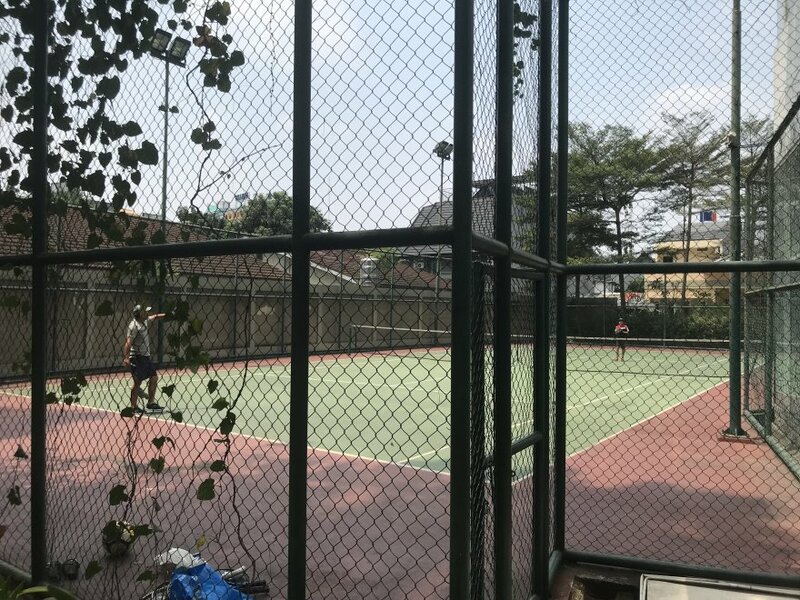 This area is popular with expats because it is within a reasonable distance from the business district, yet not too far from the international schools of South Jakarta. It is also considered less polluted and cleaner compared to the rest of the city. 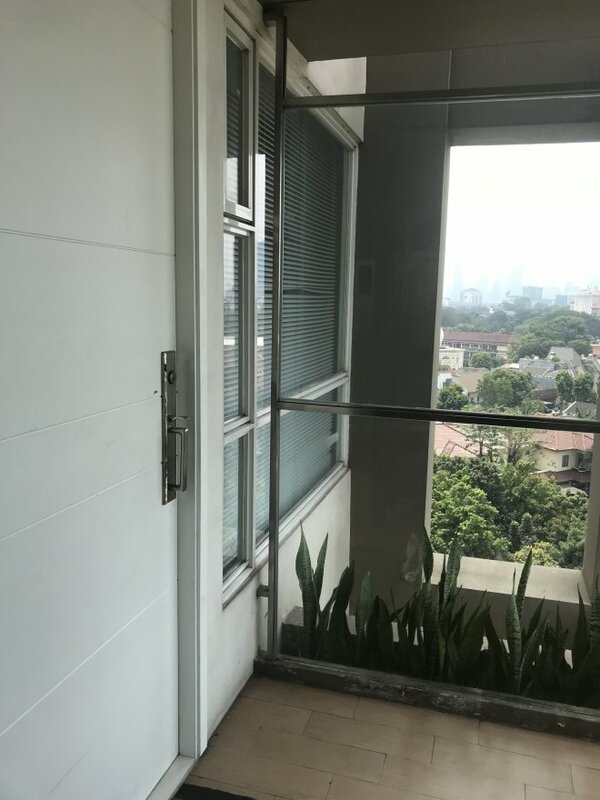 How does it look like around the apartment? When you exit the complex, you have two busy roads with a narrow sidewalk. If you walk 5-10 minutes, you’ll come across several decent cafés and restaurants. 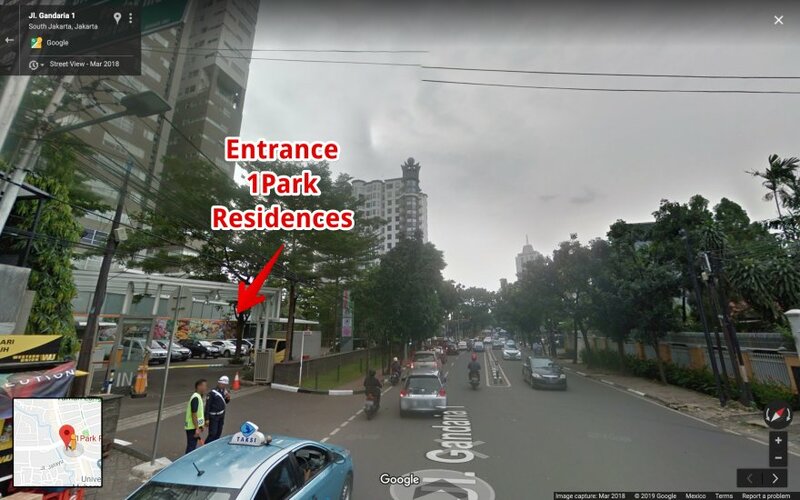 Gandaria City Mall is about 1 kilometer away. It is an interesting mall targeting the mid-to-upper class and particularly young people. There is a large choice of restaurants, including Western food, Mexican, Chinese, Japanese and Korean. The cinema is one of two in Jakarta with an IMAX screen. The other anchor tenants are Gramedia, Ace Hardware, Metro, H&M, Uniqlo, and Lotte Mart. 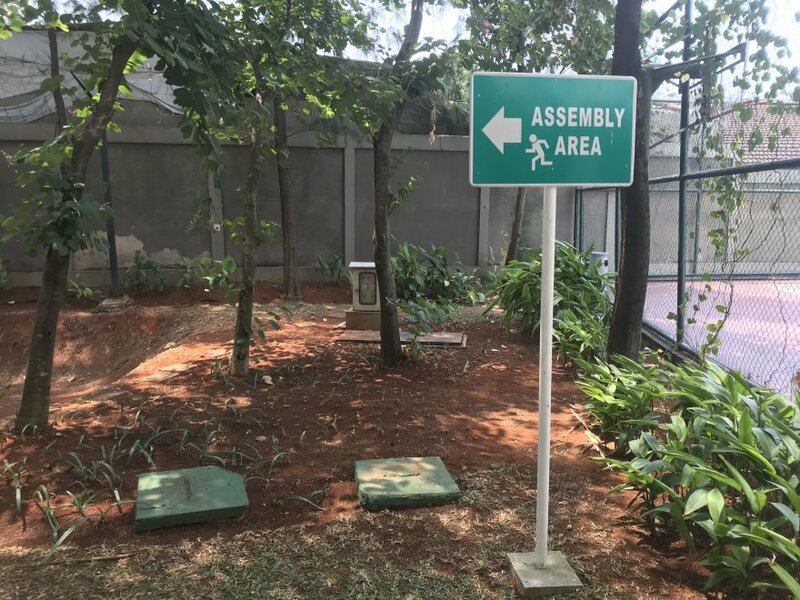 There are a few other malls nearby such as Dharmawangsa Square (2.5km), Senayan City (3km), Plaza Senayan (3km), and Pondok Indah Mall (3km). 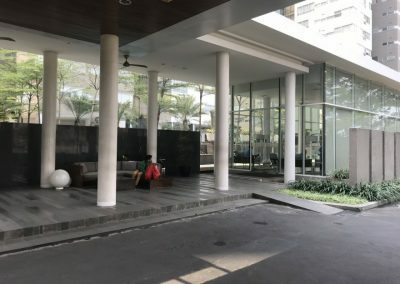 Blok M Plaza is another option for cheap clothes and electronics (2km). 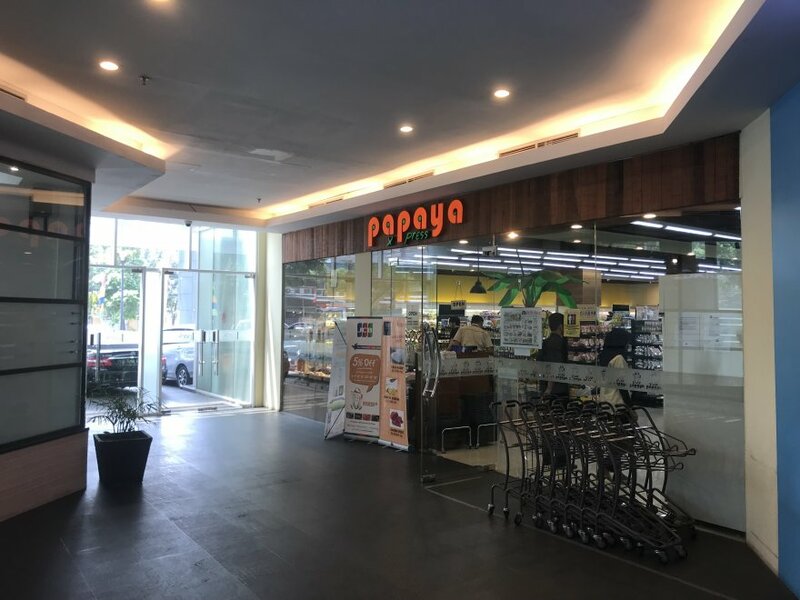 Papaya, a Japanese supermarket chain, has a small store in the retail area of 1Park Residences. It is quite convenient as it has plenty of imported and fresh products (including delicious sushis and fresh bread). 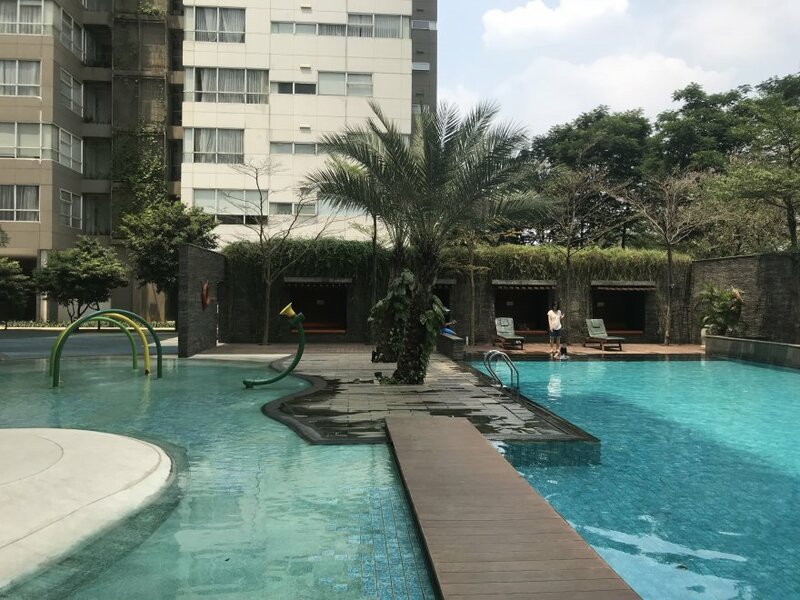 For more choice, you can go to Lotte Mart supermarket in the basement of Gandaria City (Korean brand, expensive with good quality), or to Grand Lucky on Jalan Radio Dalam (expensive as well). If you like traditional markets, you can try Pasar Mayestic, only 1 kilometer away. There is a Japanese restaurant, Sumibi, and a Starbucks inside 1Park Residences. 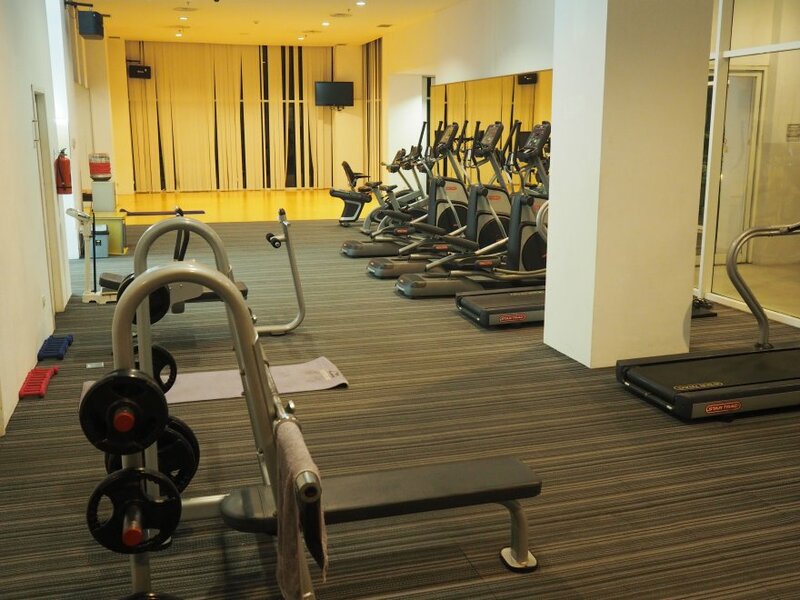 There are more options in Gandaria City mall and in nearby streets. If you like Japanese cuisine, you can try going to Little Tokyo (on Jalan Melawai, less than 2km away), a red-light area with karaokes that also has the best Japanese restaurants in Jakarta. Gandaria City has several restaurants serving alcohol, but not a proper bar. The closest ones are Beer Garden and Camden, only 700 meters away. They are both often crowded with students. For better nightlife, go to Senopati or to Kemang. 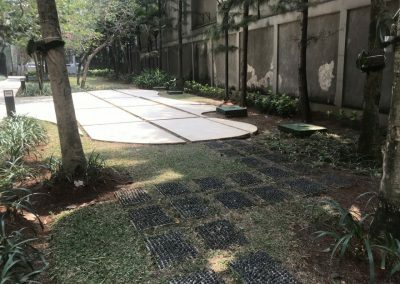 A bit further: Pertamina, Binus, Moestopo, Al-Azhar, STIKOM, InterStudi, Bina Sarana, Universitas Al-Azhar, Universitas Bhayangkara. Binus School Simprung, Lentera School, Jakarta Intercultural School Pattimura, Mentari, Al-Azhar, SMA Negeri 70. Integrated Children Academy, Sahabat Montessori. 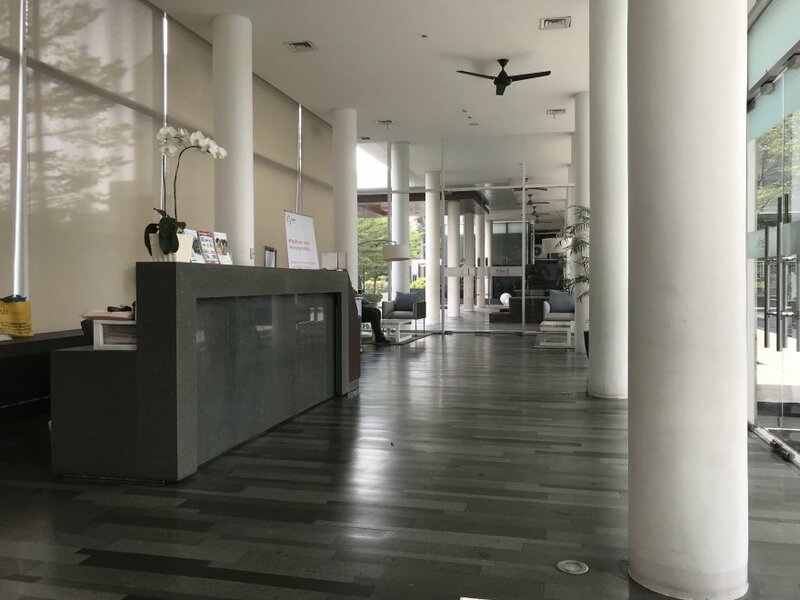 The small Taman Gandaria is about 5 minutes away by foot. It has a few kids games. 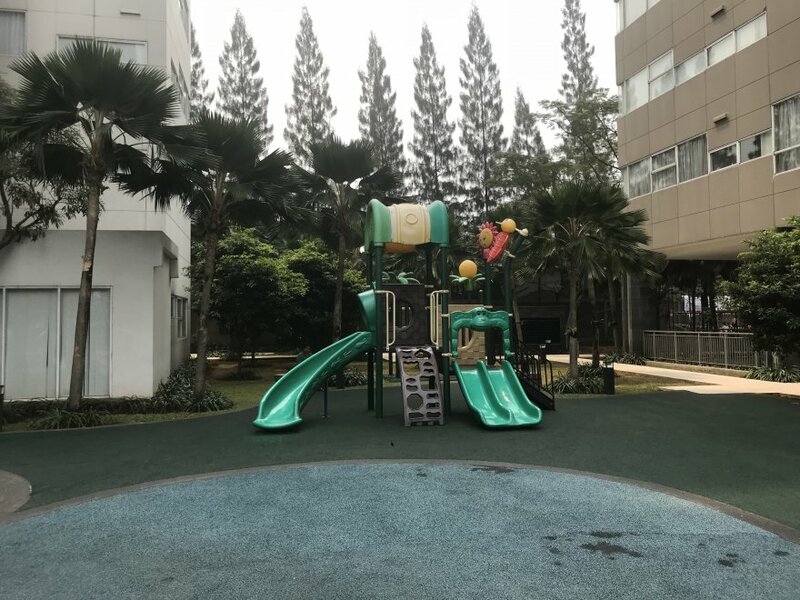 Taman Langsat is larger but 10 minutes away. 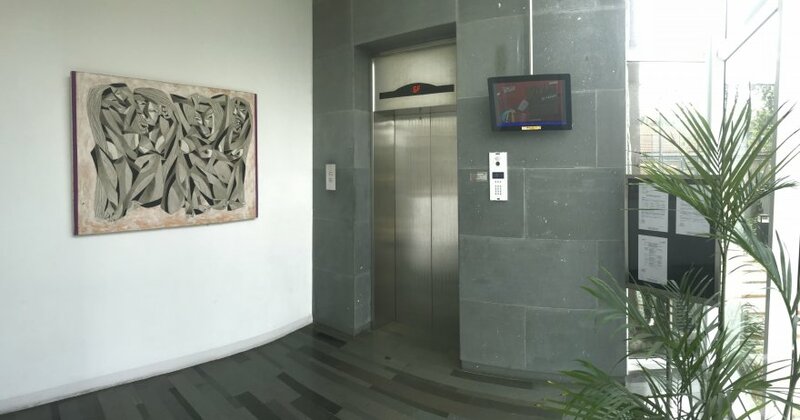 There is an office tower of 32 floors within Gandaria City called Gandaria 8. 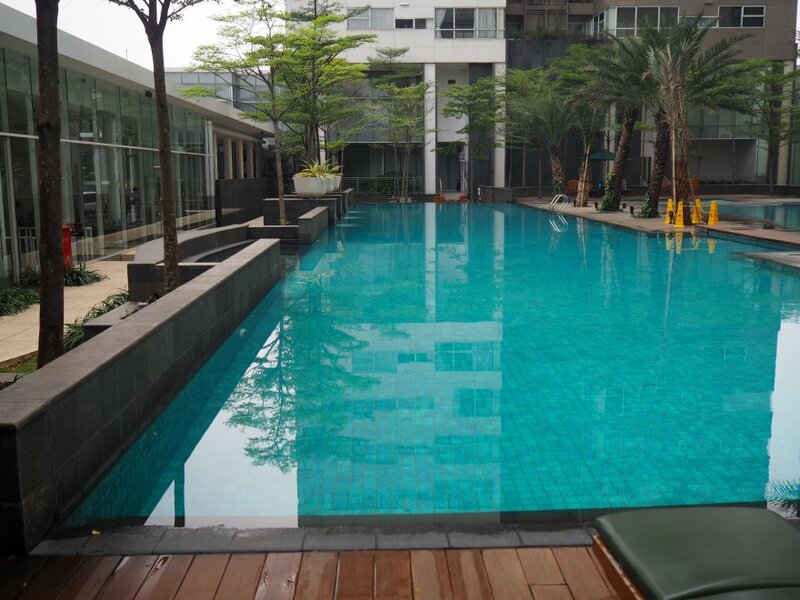 The Central Business District of Jakarta is about 15-30 minutes away (SCBD, Gatot Subroto, Sudirman, Mega Kuningan). 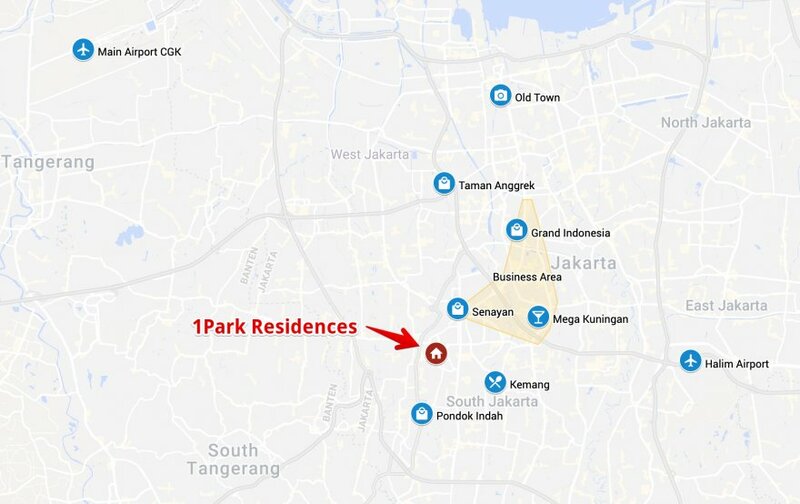 1Park Residences was developed by the group Intiland, a large property developer belonging to the Gondokusumo family. 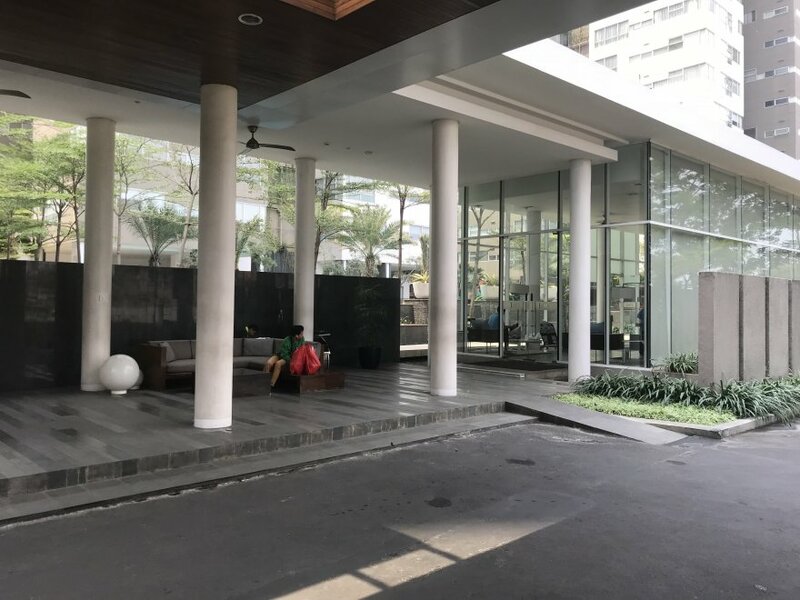 The latter were powerful under Soeharto as the owners of the Dharmala Group (Manulife Indonesia), but they went partially bankrupt after the 1997 financial crisis. 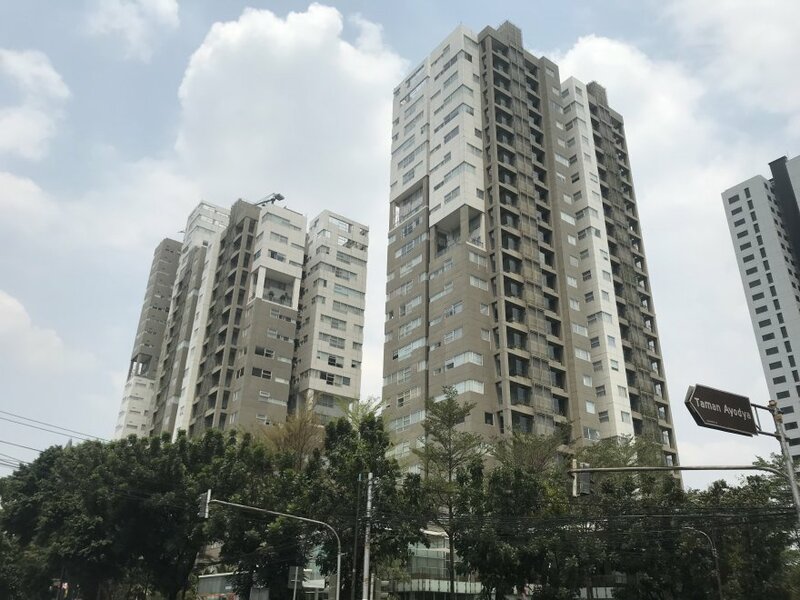 Intiland has a diverse and growing portfolio of properties (offices, houses, apartments, retail, industrial, hospitality), from low-range to high-end. For instance: 1Park Avenue, 57 Promenade, Aeropolis, Praxis and Regatta. I was unable to find this information. 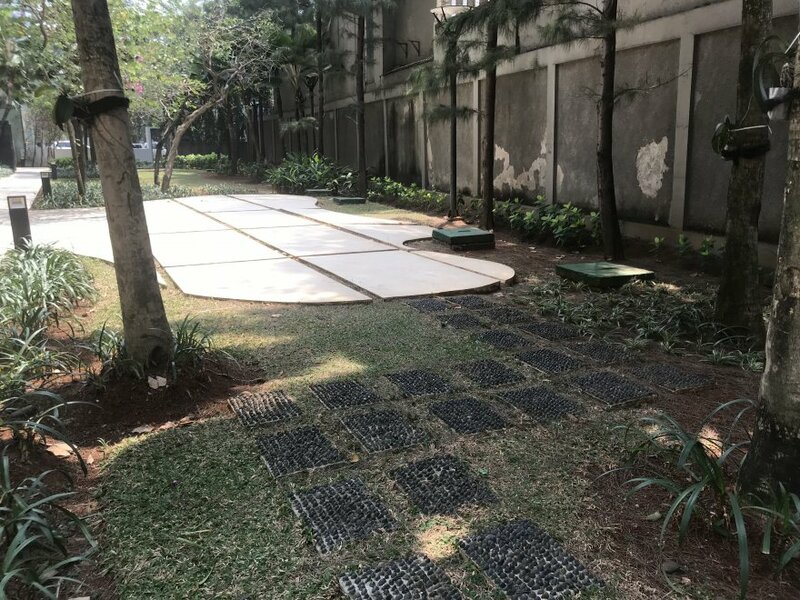 The contractor was Total Bangun Persada, a reputed Indonesian company that has undertaken hundreds of large projects such as Kemang Village, The Peak Sudirman, Verde One, the Pakubuwono Residence, Mediterania Garden Residences, etc. What is the situation with the land certificate? 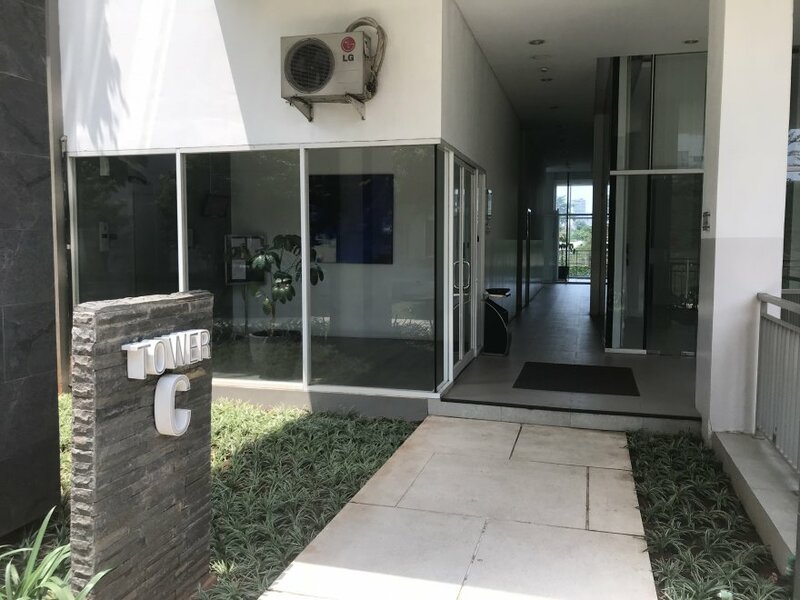 The developer has a Hak Guna Bangunan Murni, which means the property was built on its own land. As an apartment owner, you get a “Strata Title di atas HGB Murni”. How does the building look like? The design is original, with a green concept, yet I don’t find the towers very pretty. Some parts of the facade are supposed to be covered with plants, but it seems many have died due to poor maintenance. 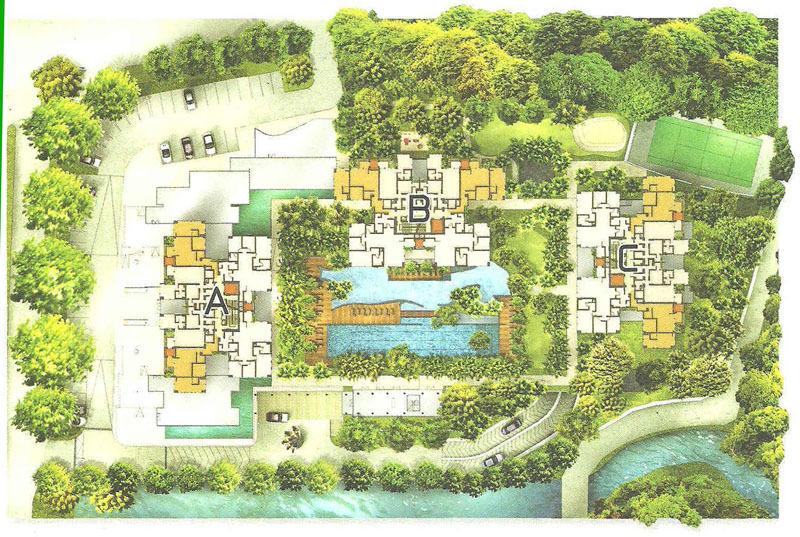 Each unit has an open-air private entrance, accessible with a semi-private life. 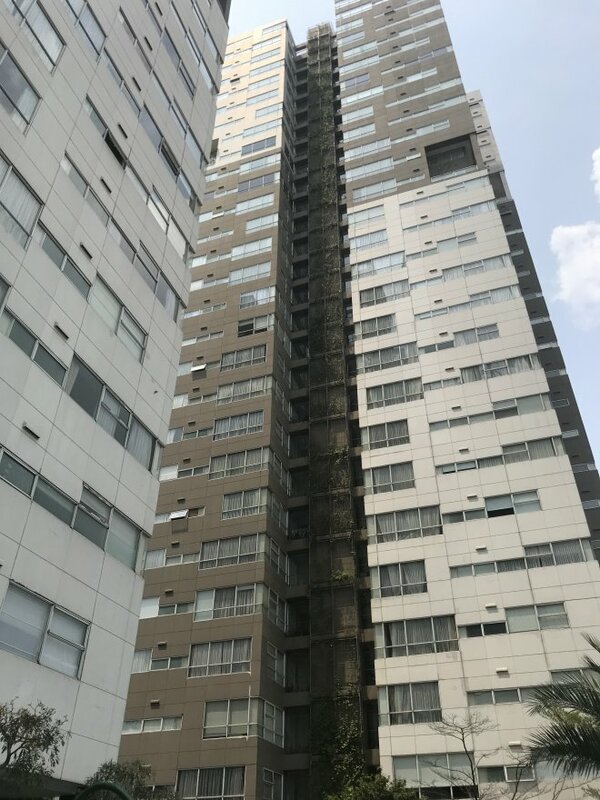 What is the quality of the materials, furniture, and equipment used in the construction? 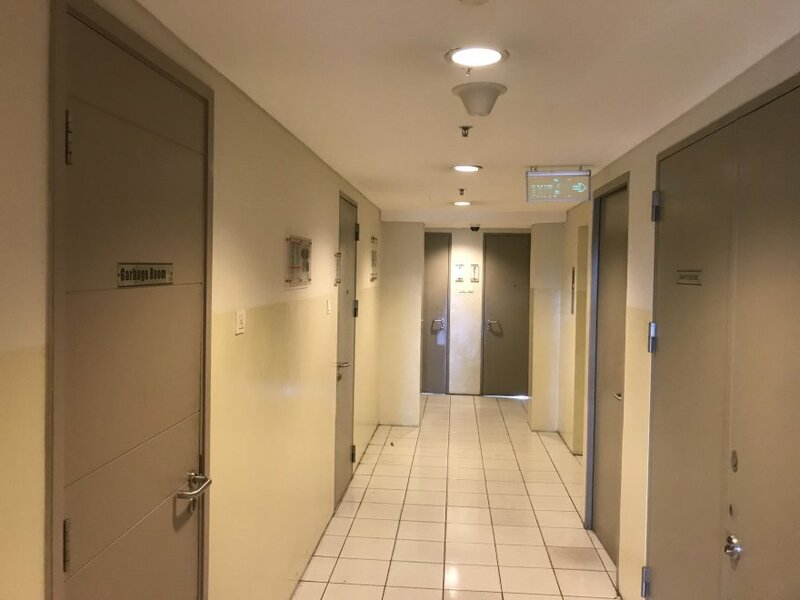 What are the facilities provided in the property? 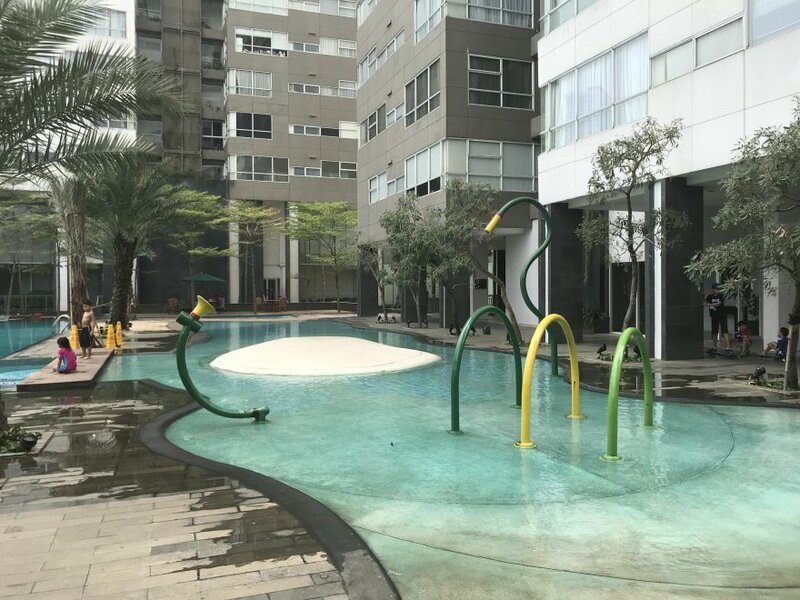 – The two large swimming pools (kids + adults) are probably the best features of 1Park Residences. The area is quite pleasant, though it gets crowded on weekends. – The gym is average. 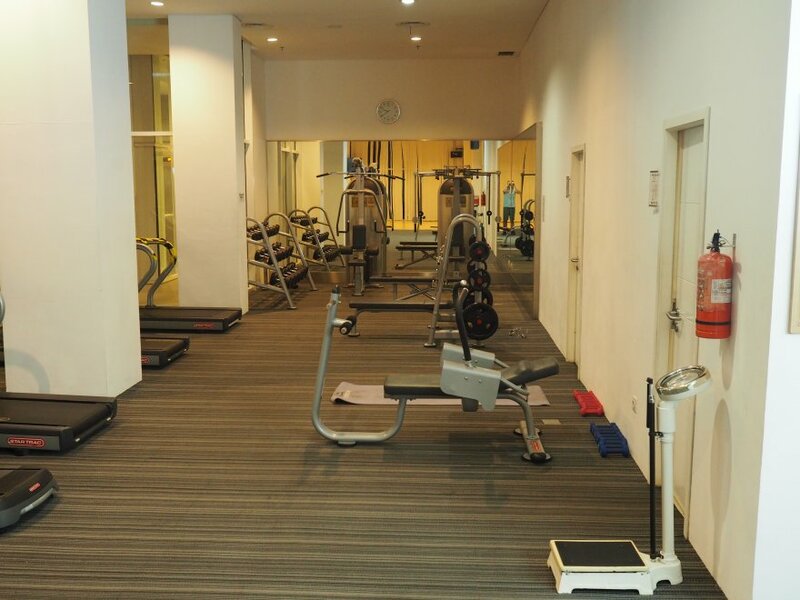 You have plenty of cardio equipment (StarTrac brand) but only a few weightlifting machines and free weights. – Facilities not pictured here: BBQ, Function room. What are the services available within the property? 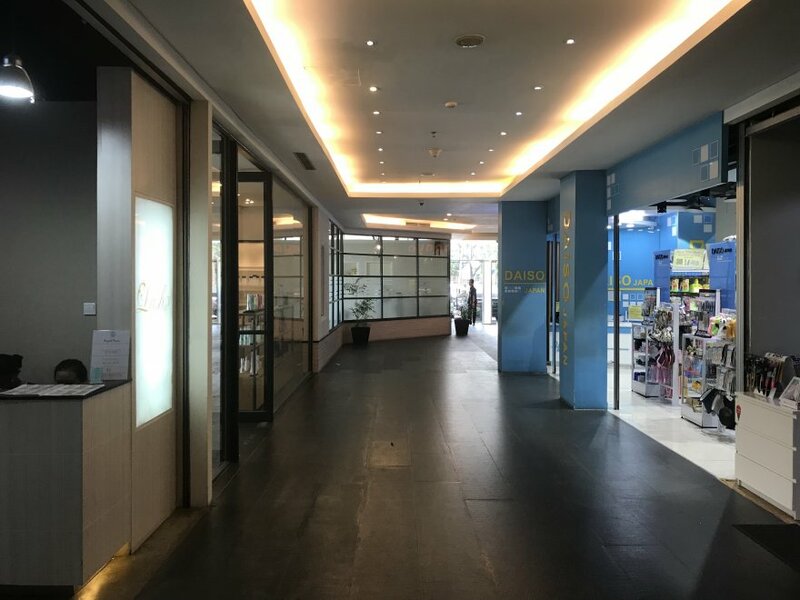 Many services are available in the retail arcade: Laundry, supermarket, nail salon, hairdresser, ATM, coffee shop (Starbucks), restaurant (Sumibi), kids’ daycare, Daiso shop. Most of these services target Japanese residents. Are there issues with the electricity supply? None that I know about. Are their issues with parking? The occupancy seemed to be high. 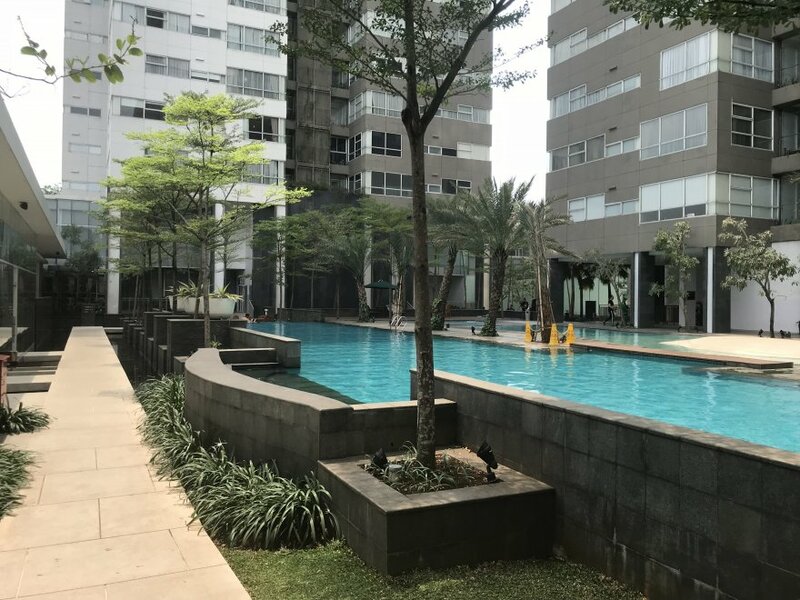 The units facing Jalan Gandaria 1 can be a bit noisy. 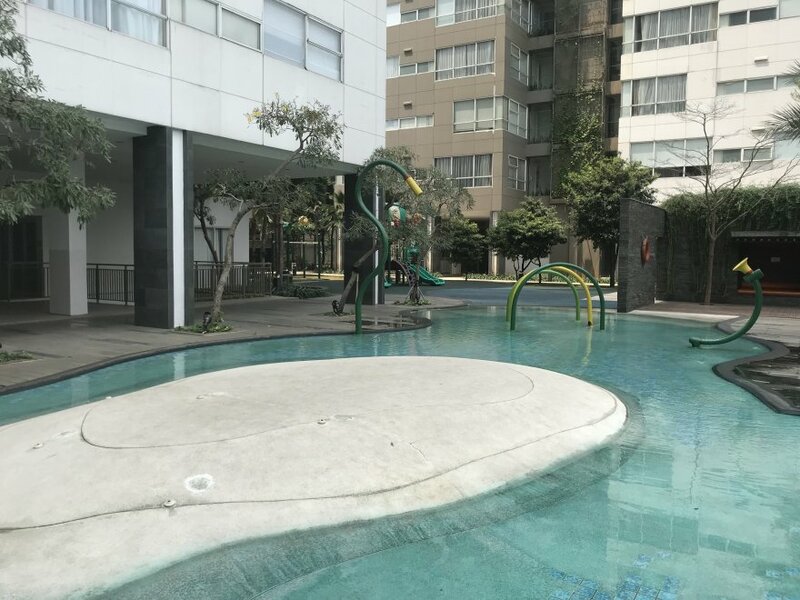 If you can, choose instead an apartment facing the swimming pool. What is the background (ethnicity, social status) and attitude of residents? The residents are mostly expatriates, especially from Japan and Korea. How old is the property? The property was completed in 2012. Yes. A few areas would need repair (scratched paint, broken tiles, etc). Nothing too serious, though. I found the cleanliness to be satisfactory. The maintenance of the garden could be improved. 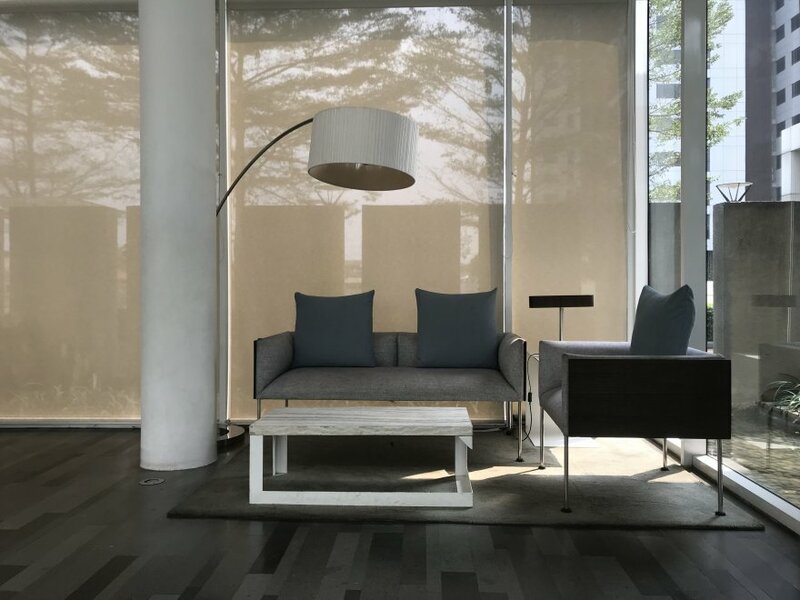 Prices at 1Park Residences may vary depending on many factors such as the floor, the unit type, the room condition and the furnishings. I do my best to write honest and detailed reviews of the apartments I visit. If you disagree with my rating, please let me know why and leave your own rating at the end of this page. - Exclusive neighborhood, strategic location for expat families. - Retail area with a supermarket, a Starbucks, a salon, ATMs, etc. 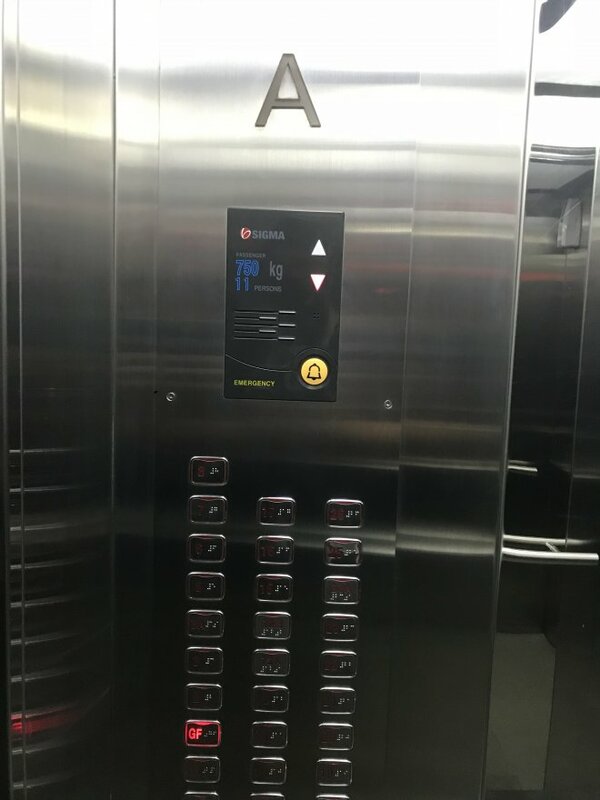 - Semi-private lift with an open-air entrance. 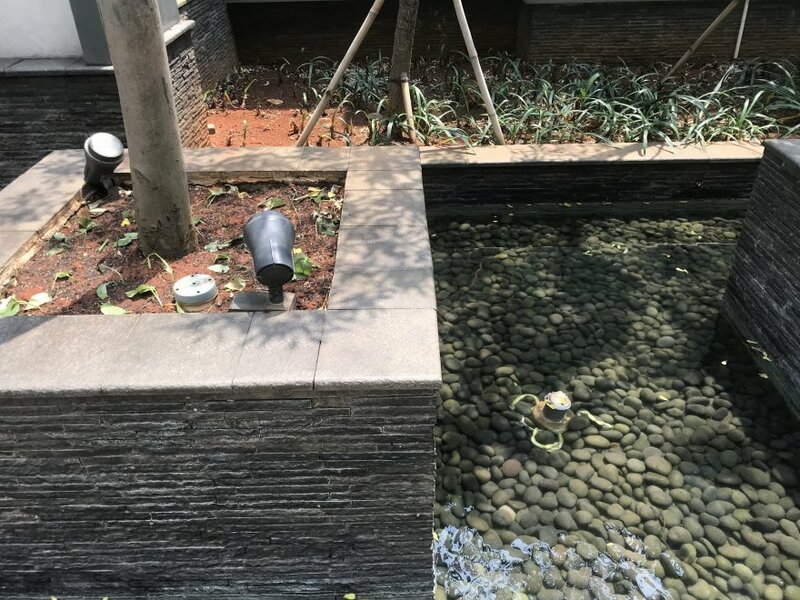 - The quality of the gardening and the maintenance is disappointing for an upscale property. - The gym is lacking some machines. Readers 'Reviews:	Write a review!